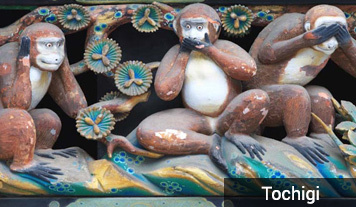 Kanto is the economic, cultural and political, heartland of Japan. 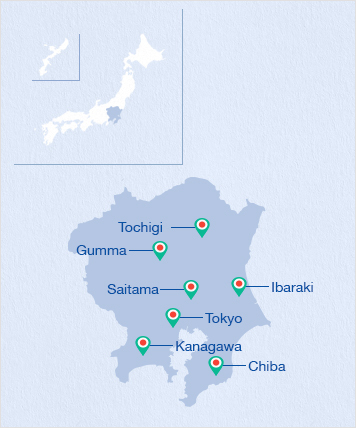 The region includes the Greater Tokyo Area and consists of seven prefectures, Gunma, Tochigi, Ibaraki, Saitama, Tokyo, Chiba, and Kanagawa. The region is known as very densely populated and approximately one third of the total population of Japan live in Kanto region. 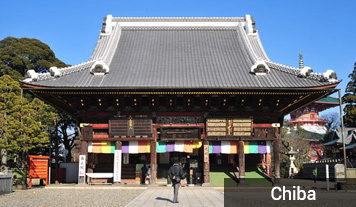 When visiting Japan, most people’s first destination is Tokyo, and as such Kanto is probably the most visited part of Japan as well as being the most populous. 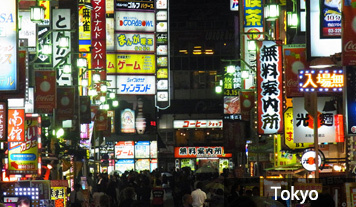 Tokyo is the capital of Japan and it’s economic, cultural and fashion centre. Ultra-modern skyscrapers sit elegantly cheek by jowl with traditional houses and temples, making Tokyo unique and visually arresting for the first-time traveller and it attracts tourists from all over the world. Kanagawa Prefecture is situated south of Tokyo and over looks Tokyo Bay. 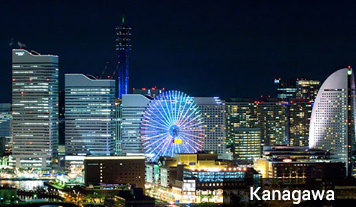 Two of the top side trip destinations from Tokyo, Hakone and Kamakura, are located in Kanagawa. 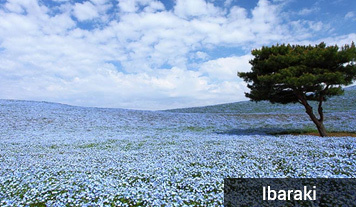 Chiba prefecture is situated in the southeast of the Kanto Plain and adjacent to Tokyo. Home of the world famous Tokyo Disneyland and Tokyo Disney Sea. Saitama prefecture is situated in the centre of the Kanto region north of Tokyo. 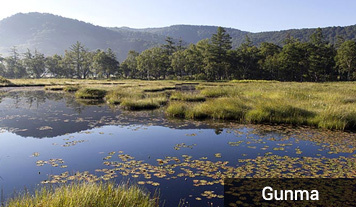 Gunma prefecture is situated to the northwest of the Kanto Plains and it is blessed with abundant onsens (hot springs) such as Kusatsu Onsen, Ikaho Onsen, Manza Onsen, Minakami Onsen and many others.